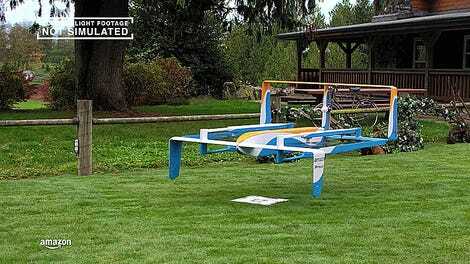 Amazon has been talking about drone deliveries for years now. It seems to be the one thing that Jeff Bezos truly wants, his Rosebud, if you will. 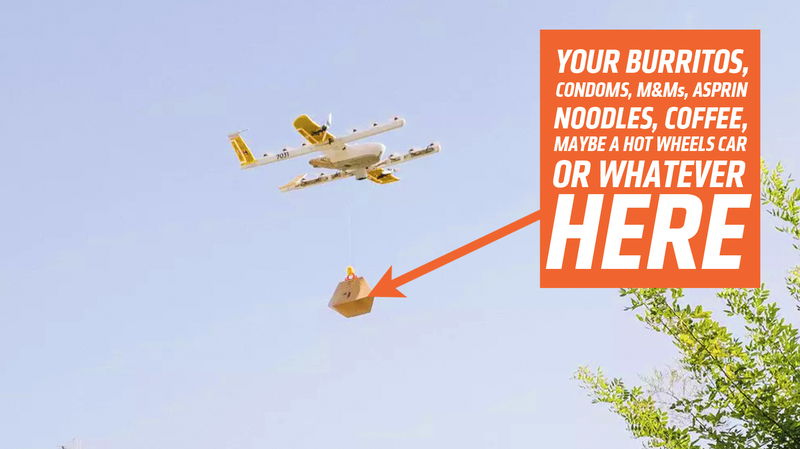 That’s why it must really, really sting that rival company Google looks set to be the first to begin real, commercial drone delivery service. Wing, a drone delivery startup owned by Google parent company Alphabet, got approval from Australia’s Civil Aviation Safety Authority (CASA) and will begin deliveries in Canberra, presumably quite soon. 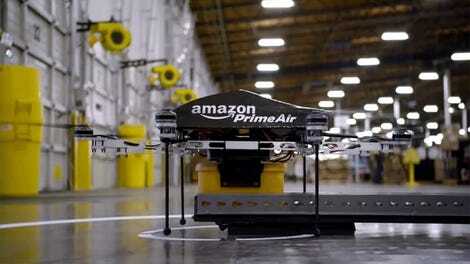 The drones do not actually land at the delivery site; rather, they hover above the site and winch down the item, encased in a sort of cardboard pyramid, to the ground, where it is released. It’s also worth noting that if you order a full meal for a family, due to weight restrictions, it could take multiple drone drops to bring the whole order. When official delivery service begins, it will be available to around 100 homes in the Canberra area. Drone flying so low that it nearly caused a resident to drive off the road. I mean, some of these could happen with conventional delivery by car or moped, and I sort of doubt the drones would be following anyone, because, why? The biggest complaint, though, seems to be the noise. Really, though, the noise is no worse than a couple of howler monkeys engaging in mating rituals, and howler monkeys don’t bring you coffee and ramen noodles. Wing claims to have developed a quieter drone and even though it’s easy to be cynical about things like this, I have to admit I think it is sort of cool to get something delivered by a flying robot that lowers your lunch down to you on a string.